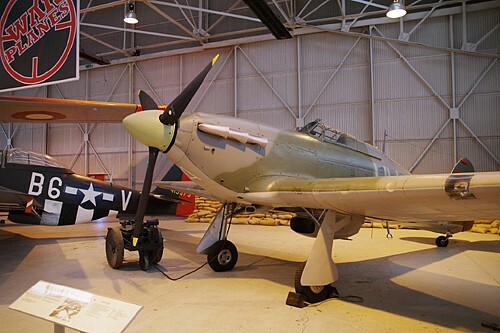 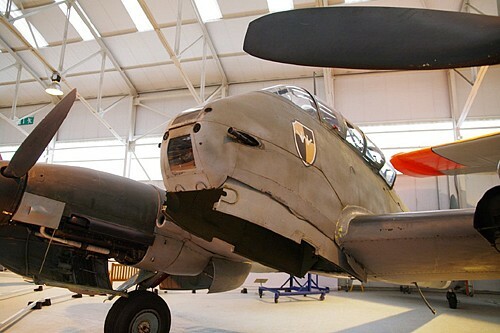 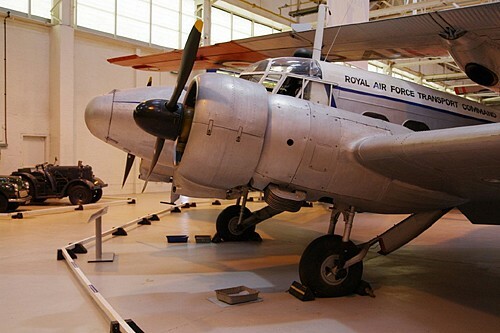 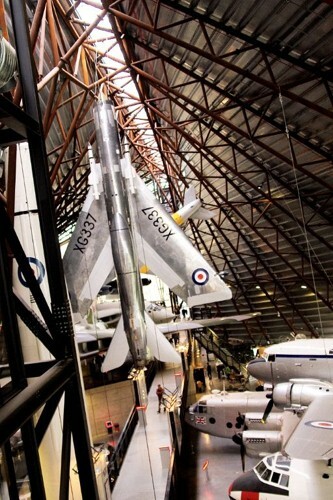 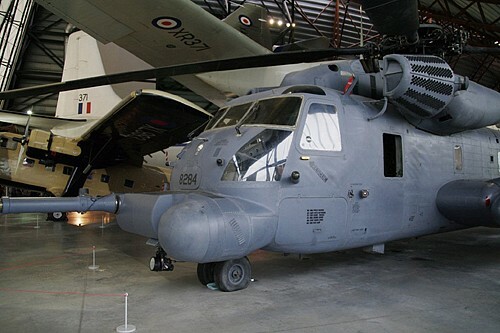 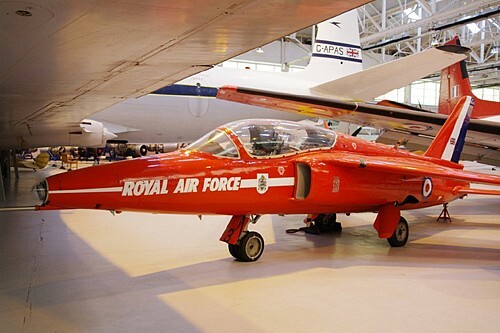 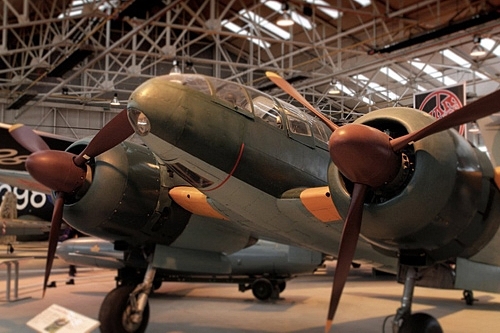 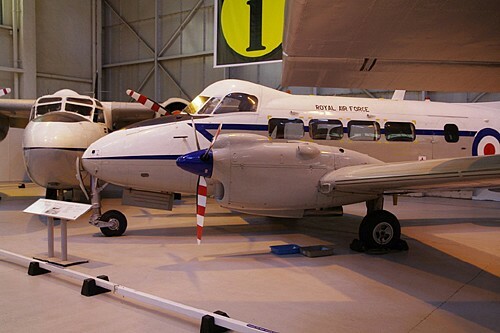 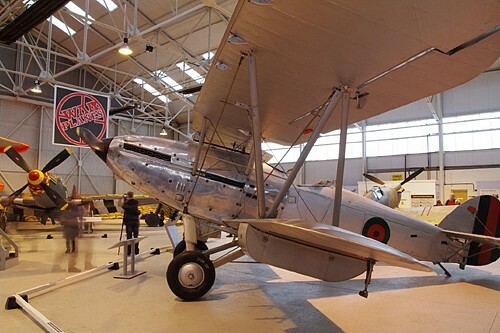 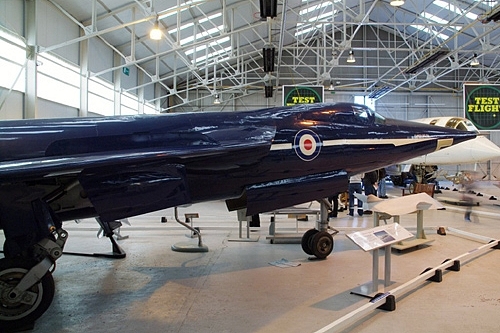 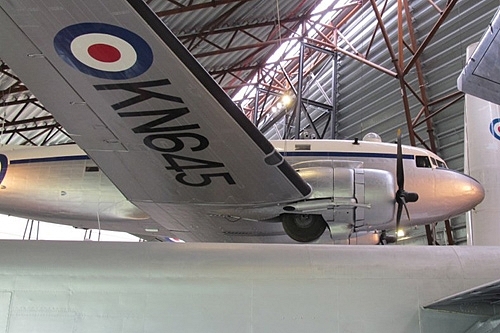 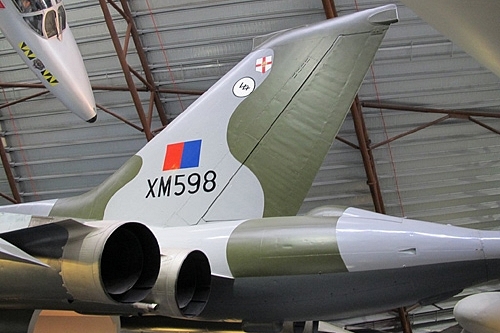 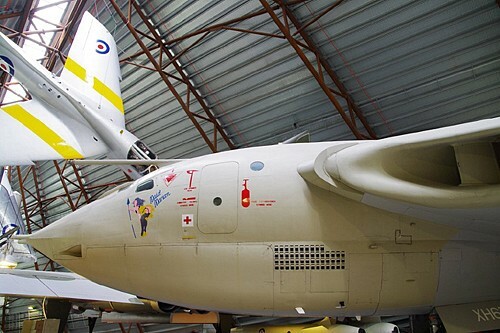 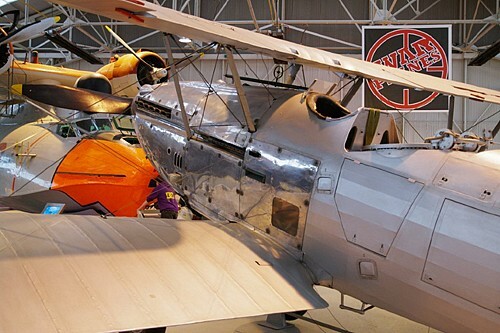 The well-known Royal Air Force museum is divided in two different places. 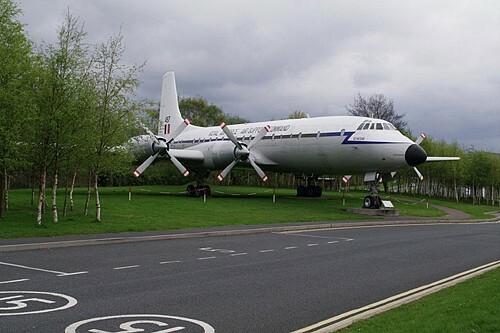 The first place is Hendon (located in the suburbs of London) and Cosford, not far away from Birmingham city. 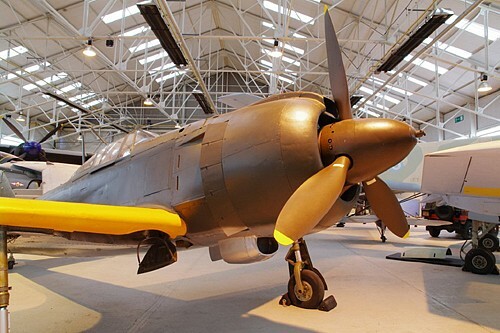 While Hendon preserves the classics (including a fabulous collection of aircraft that took part in the Battle of Britain) and many unique items such as Ju87 Stuka, Hawker Typhoon1b, Messerschmitt Bf 109 E, Bf 109G, Bf 110G, Me 262, Boulton Paul defiant .... and many British aircraft that left the operational service such as F-4 Phantom, Tornado F.3, Avro Vulcan, Hawker Hunter, Harrier, Canberra and not to be forgotten, a unique and magnificent first world war aircraft collection. 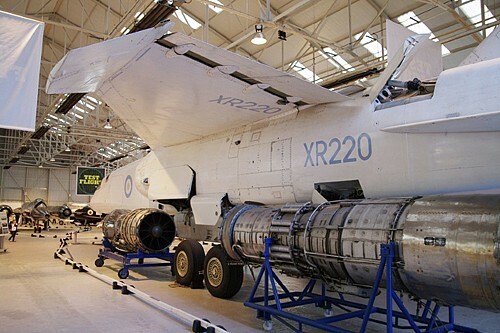 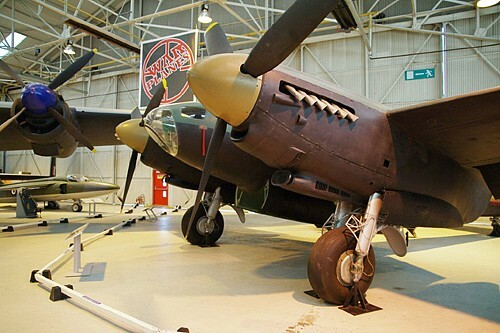 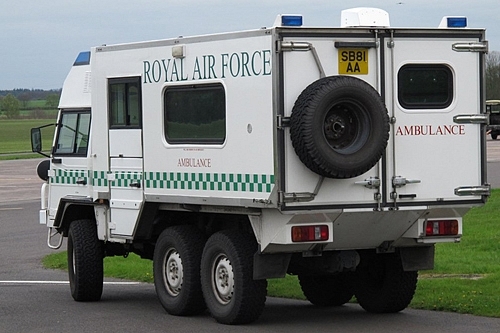 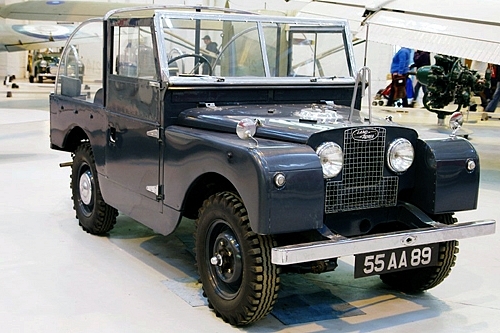 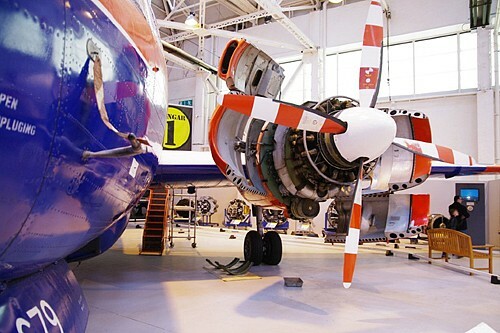 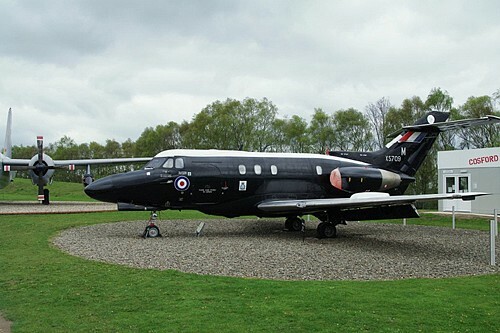 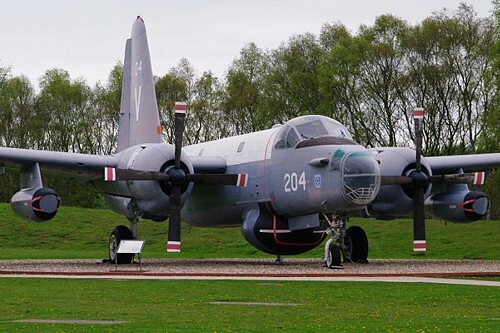 Cosford, which is located at an active RAF air base, where mechanics are trained and where the RAF is based. 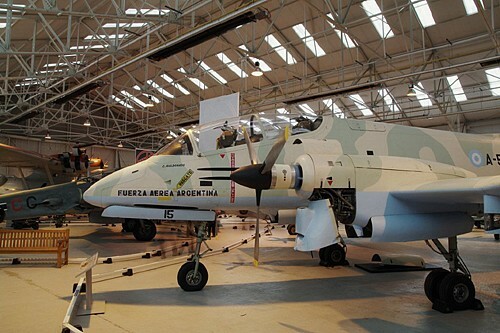 For teaching purposes, they have many aircraft out of active service, but in perfect working condition, that’s another kind of aircraft collection. 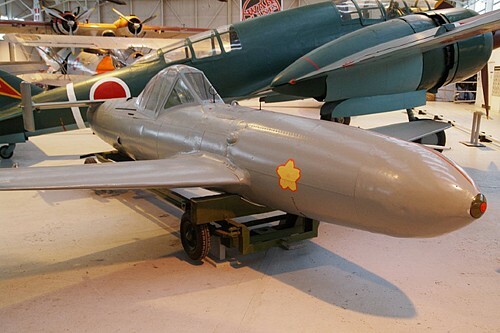 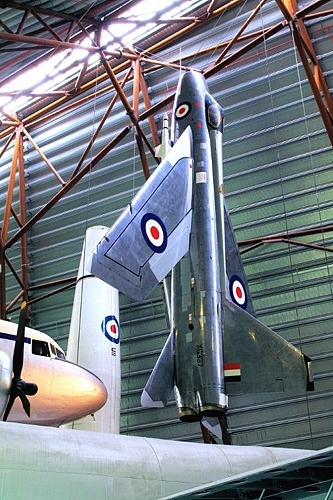 In the different halls, underlining specific themes, some unique aircraft are exposed. 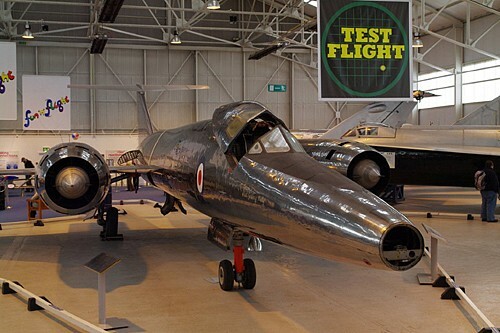 The “Test Flight” hall presents a unique panel of British prototype aircraft like TSR2, Fairey FD2, English Electric P1A, Short SB5, Sounders Roe SR53, Avro 707 and many other jewels of the British aeronautical industry. 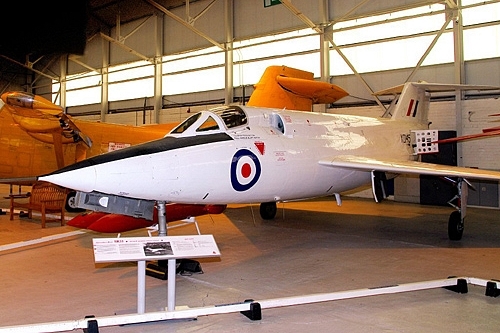 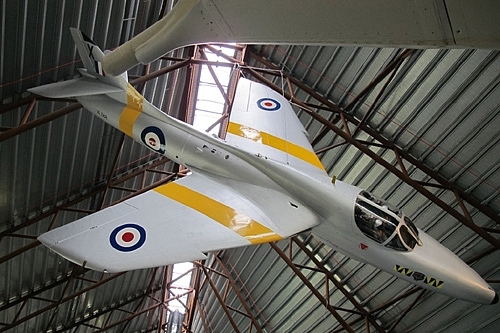 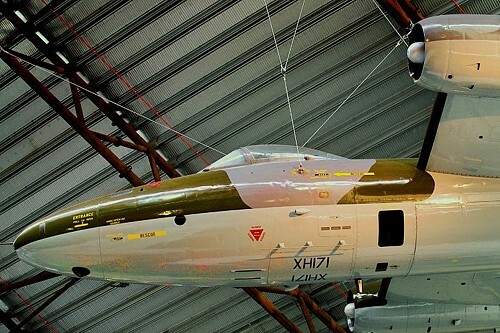 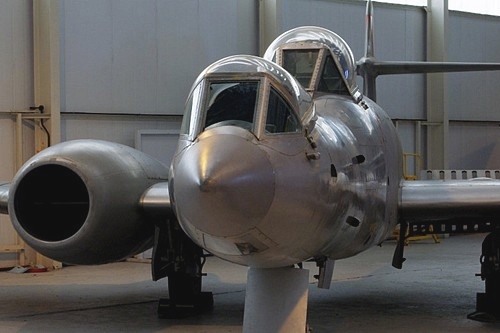 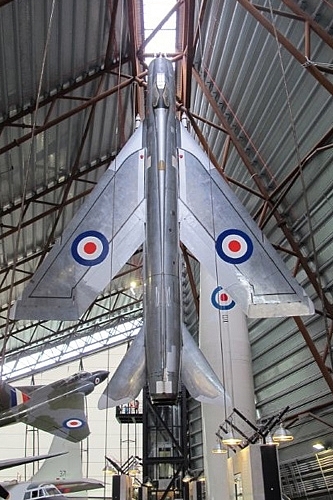 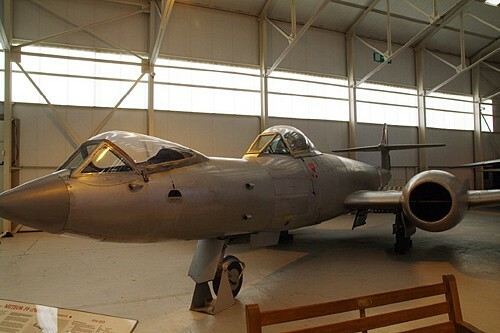 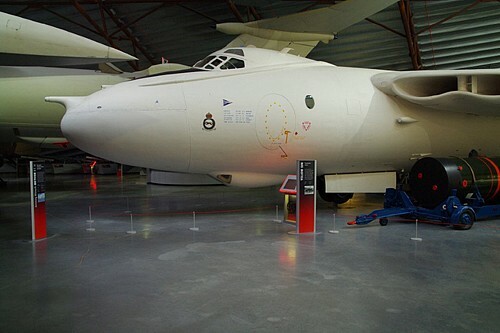 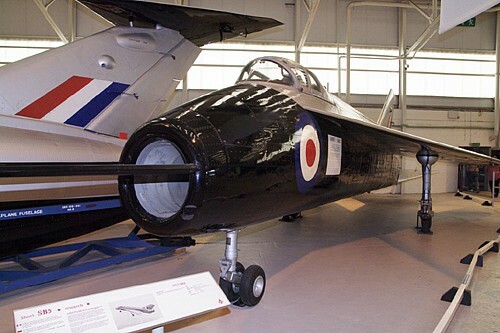 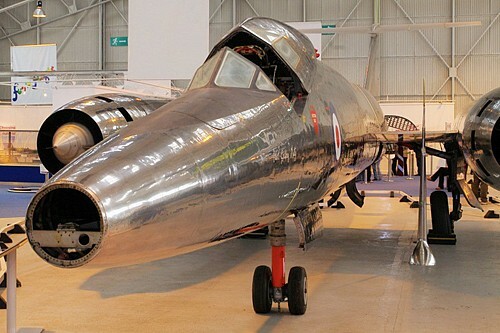 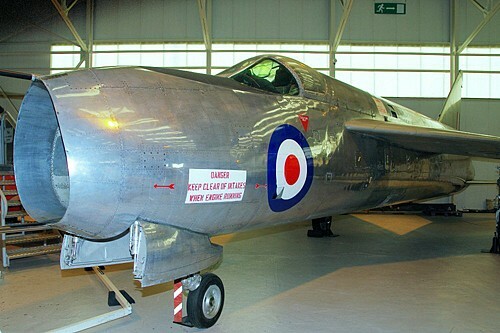 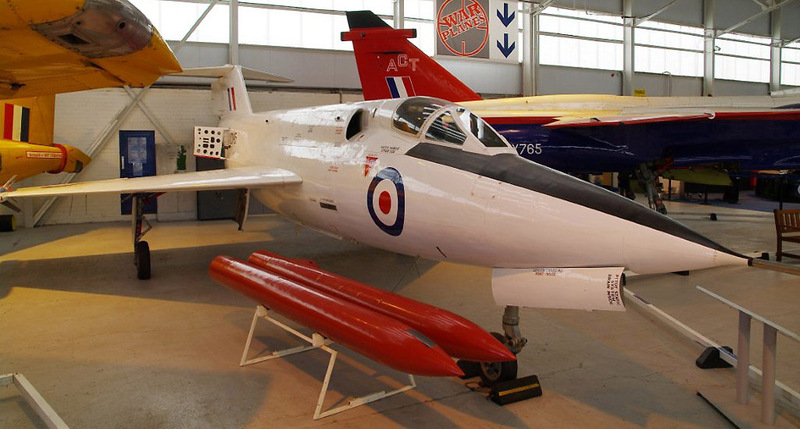 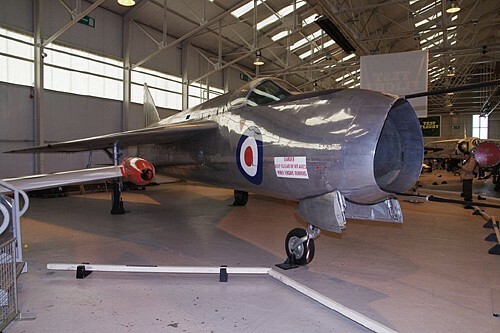 The “Cold war” hall, which is the most recent building of the museum complex, presents a rich range of aircraft like the Gloster Javelin, Lightning, Canberra, Metor NF-14, but also foreign aircraft of the same instable period, like the F-111 or Russian Mig 21. 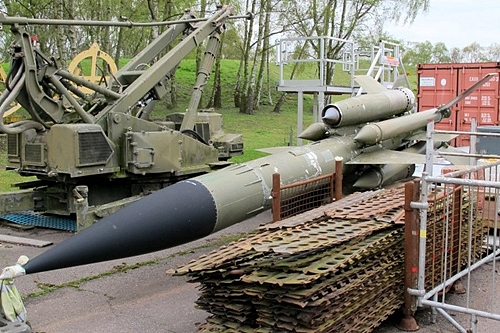 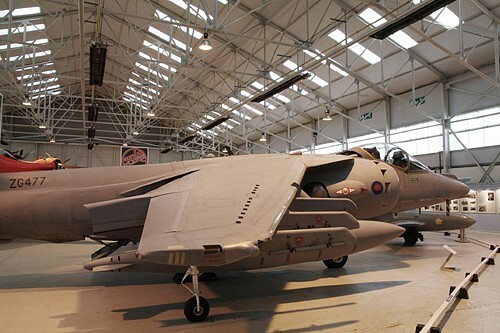 Some armored vehicles of the cold war are also exposed in this hall. 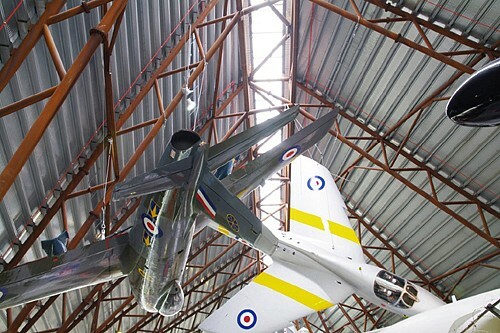 The “War planes” hall presents some aircraft from the different conflicts where the Royal Air Force was involved. 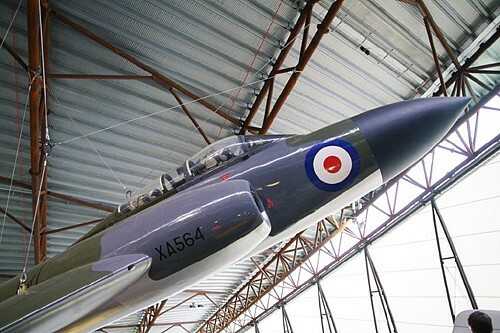 The visitor can see the Harrier (Falkland), and of course the Spitfire, Hurricane, Lancaster, Mosquito of the second world war. 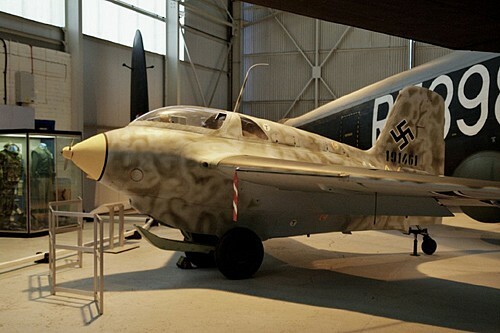 Some allied aircraft like the P-51D are also exposed, but the most interesting is certainly a range of enemy aircraft like Me 163 Komet, Me 410, Japanese Dinah, Ki 100 or Yokosuka Ohka until the most recent, the FMA Pucara. 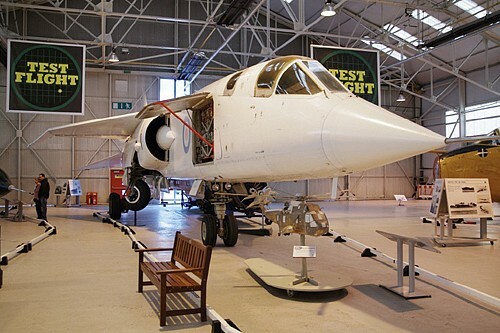 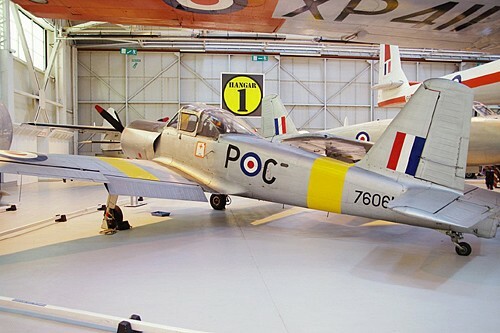 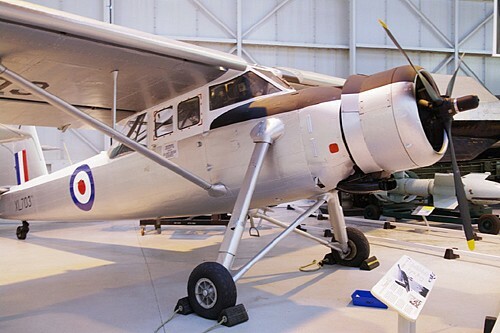 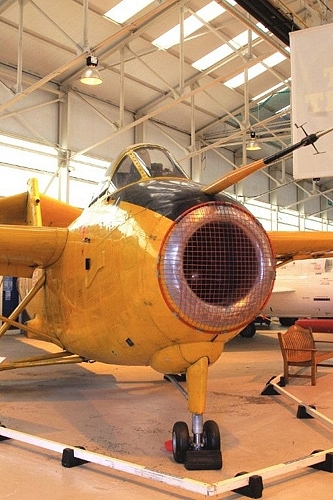 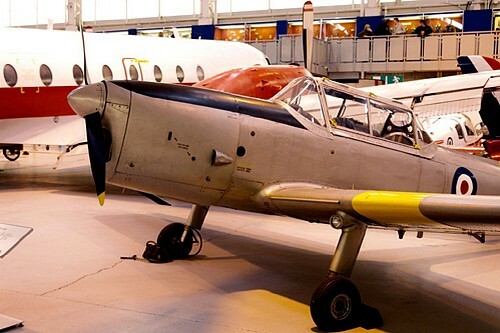 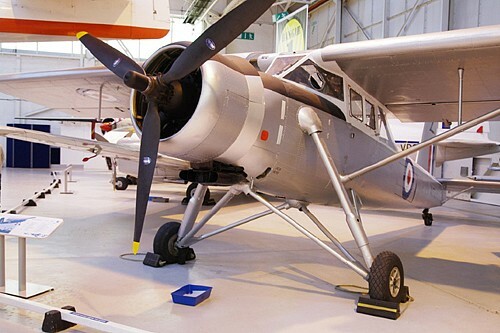 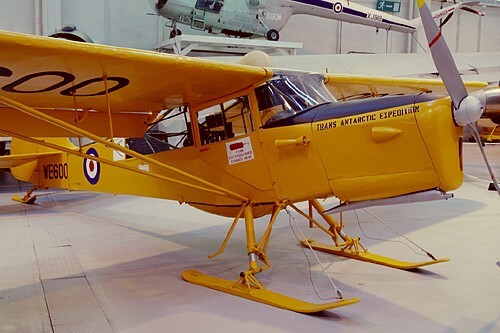 The last hall called “Hangar 1” is dedicated to aircraft that we can qualify as “very British” like the Gnat, Anson, Devon, Sycamore, Pembroke, Varsity and other Provost. 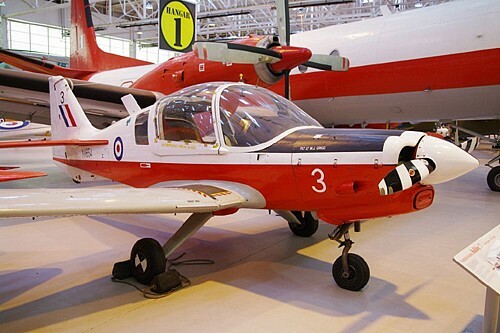 In fact British made transport or training aircraft. 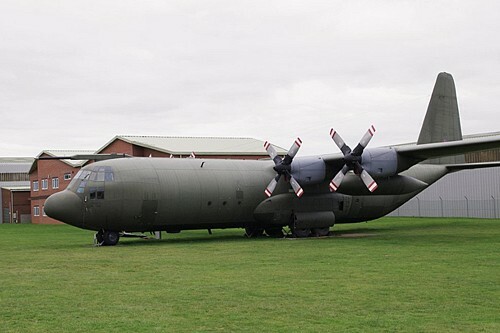 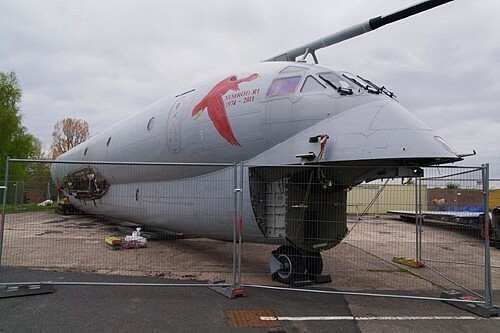 The inventory wouldn’t be complete, without the big planes exposed outside like a Neptune, C-130, Britannia and the latest acquisition, a Nimrod, who was still not re-assembled at the time of my visit. 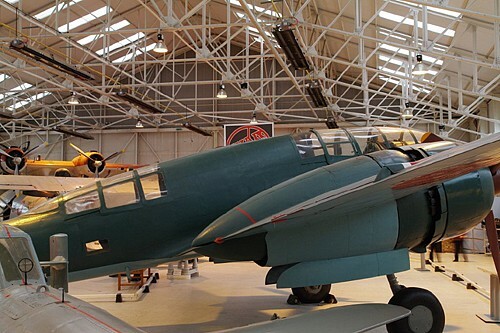 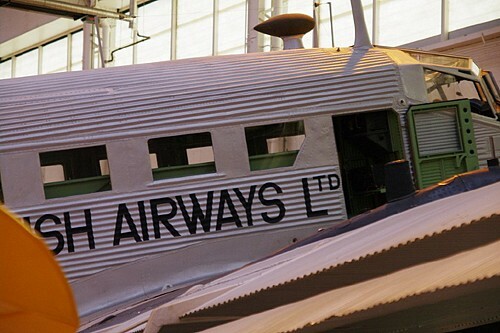 But this incredible inventory would be nothing without the mention of the "Michael Beetham Conservation Centre" which is in fact the restoration and conservation center for both Hendon and Cosford Museum. 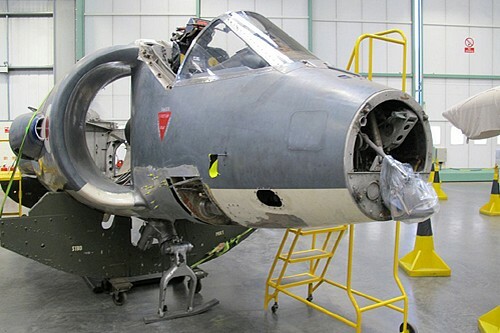 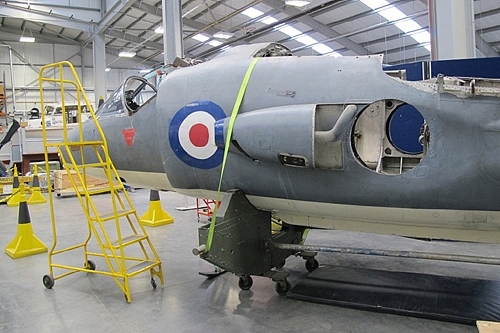 During my visit, they were working on a Sea Harrier, a Wellington and the reconstruction of a unique Handley Page Hampden, but this part is unfortunately not accessible for the general public.